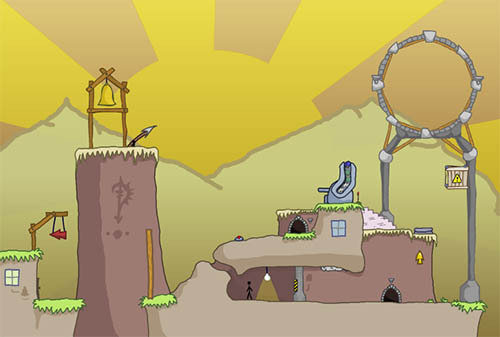 Description The aim of this one-screen point and click adventure is to light both of the torches and open the portal. Try not to kill to many people in the process. Controls Move with the mouse over objects to see if they are clickable. Sometimes timing is very important! Interesting tiny puzzle platformer. Small details are making it even more difficult.